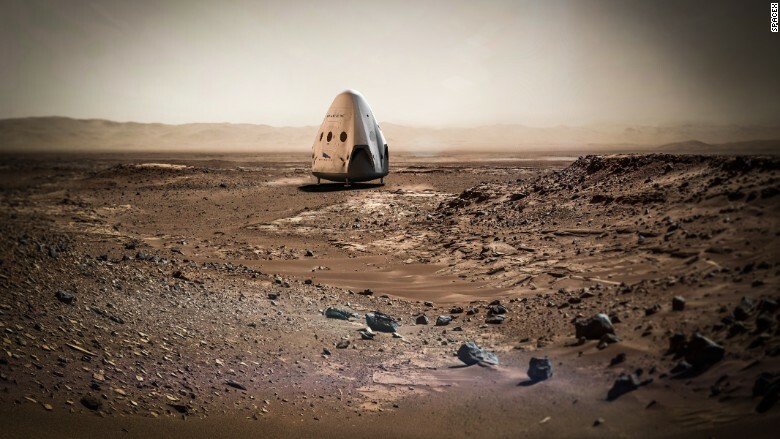 SpaceX's first mission to Mars could be less than two years away. The space exploration company -- headed by Tesla (TSLA) CEO Elon Musk -- tweeted Wednesday that it plans to put an unmanned spacecraft on Mars "as soon as 2018." That's the latest update to SpaceX's plans for Mars after Musk said in January that he wants to send the first humans to Mars sometime "around 2025." The tweet indicates that SpaceX plans to make good on a mission first proposed last year: To send a modified version of its Dragon spacecraft, called Red Dragon, to survey the terrain on Mars and potentially collect soil samples. Musk took to Twitter Wednesday to explain that Red Dragon will be the craft used for an inaugural "test flight." But any trips to Mars made by a Dragon 2 spacecraft -- which was designed to be able to carry astronauts -- would not have a crew on board. "Dragon 2 is designed to be able to land anywhere in the solar system," Musk wrote. "But wouldn't recommend transporting astronauts beyond Earth-moon region," he wrote in a separate tweet, adding that it would be a cramped ride for anyone on board because it's roughly the size of an SUV inside. 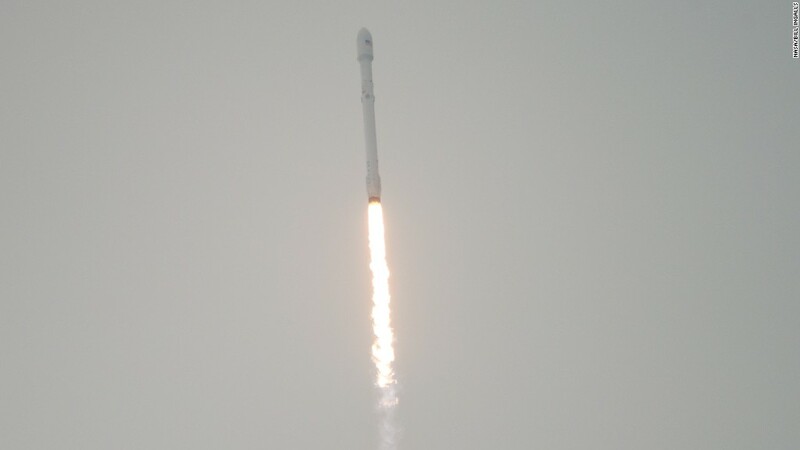 NASA said Wednesday that it's fully behind SpaceX's plans for Mars. In fact, Deputy Administrator Dava Newman wrote in a blog post Wednesday that NASA is "particularly excited" about it. NASA said it will provide technical -- but not monetary -- support for SpaceX during the mission, and hopes "the collaboration could provide valuable entry, descent and landing data to NASA for our journey to Mars." A graphic rendering of SpaceX's Red Dragon spacecraft. SpaceX's ultimate goal is to put a colony of people on The Red Planet. "It's the only planet we really have a shot at establishing a self-sustaining city on," Musk said in January, when he announced he aims to send the first humans to Mars within a decade. These are bold ambitions, particularly for a private company. So far, commercial spacecrafts have yet to reach even the moon -- where only three governments have gone before: the U.S., China and the former Soviet Union. SpaceX is also planning to pilot what could be the first commercial lunar mission for next year. SpaceIL -- a competitor in the Google Lunar XPrize's $30 million race to put the first commercial spacecraft on the moon -- plans to send its lunar lander to the moon on a SpaceX Falcon Heavy rocket sometime in 2017. SpaceX said to expect more details about its Mars mission soon.